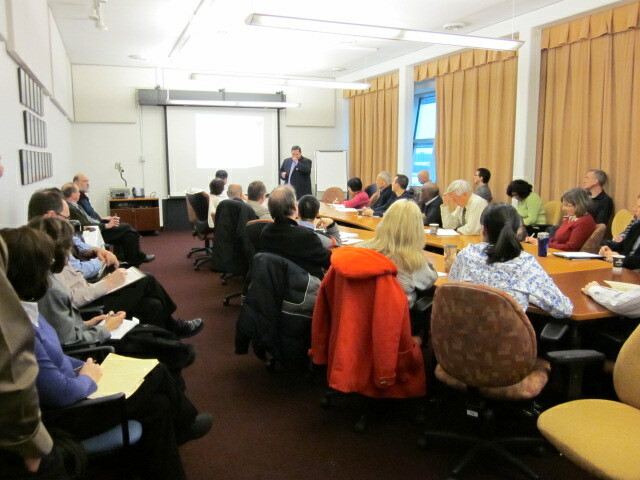 It was standing room only at the University of Ottawa when Sean Flanigan, of the OTTN and University of Ottawa launched the 2012 round of the popular SME4SME program. Participants from the University of Ottawa research community, and Ottawa’s business community learned how they could access up to $100,000 in funding to work on research projects that will help grow Ontario’s economy. Setting goals and implementing a system to help achieve those goals is key to building a successful business. This is a critical part of the Start-up Garage, the OTTN program that helps students build their own companies. 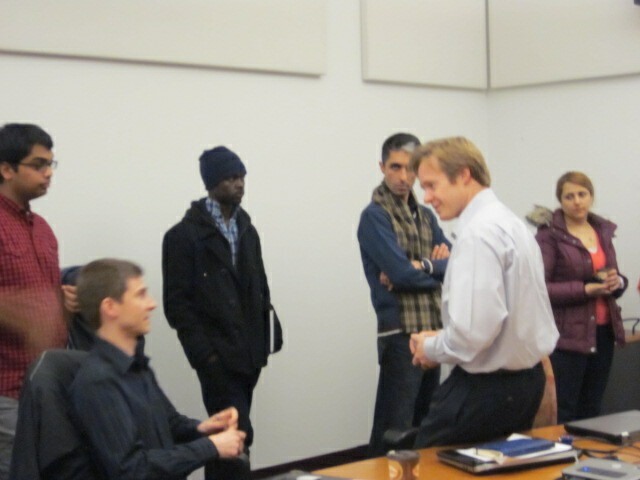 On Wednesday January 18, 2012, Peter O’Blenis, the VP Business Development and COO of Flick Software gave students practical advice to help students vying for one of 8 spots in the 2012 Start-Garage. Wednesday’s event was the third of four events designed to help students develop a proposal to the 2012 Start-up Garage which runs annually from June 1st to August 31st. Over thirty students took advantage of this opportunity to learn from Peter, an experienced entrepreneur with over 18 years in the software industry. Peter stressed to students the importance of making concrete and measurable goals and objectives, and then setting up a system to ensure everyone in the venture has ownership of specific tasks, and is working towards their achievement. He is a big fan of detailed planning in short term segments (such as 90 days like Start-up Garage), and having team meetings on a daily basis, whether in person or by phone. Start-up Garage is looking for student entrepreneurs who want to build their own business. It offers $20,000 in funding and other support through the summer of 2012. Visit www.startupgarage.ca to learn how to participate. Submissions into the 2012 program are due February 22, 2012.